The aircraft industry is regard as the most advanced industry, and the requirements on the aircraft part is very strict. The 7075 and 7005 are the most common use aluminum alloy in aluminium sheets for aircraft. Today our topic is 7075 aluminium sheet, 7075 is an aluminum alloy with zinc as the main alloying element, but sometimes a small amount of magnesium and copper are added. Among them, super-hard aluminum alloy contains lead, zinc, magnesium and copper alloy, the hardness is close to the steel and can be heat treatment. 7075 aluminium sheet is a high-strength heat-treatable alloy with good corrosion resistance and good mechanical properties. As a typical aircraft aluminium sheet, 7075 aluminum sheet is a cold-treated forging alloy with high strength and high hardness, far better than mild steel. 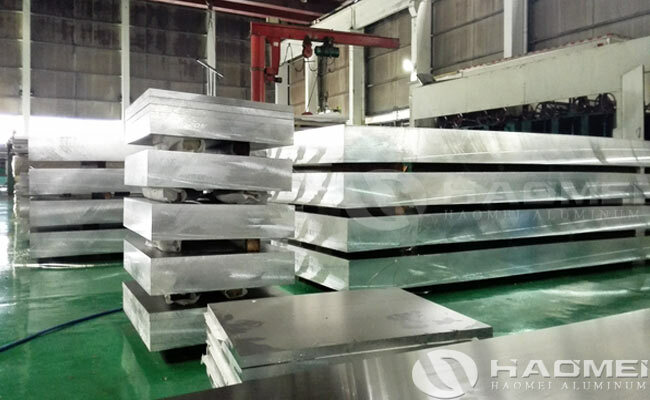 7075 aluminum sheet plate is one of the most powerful commercial alloys, with common corrosion resistance, good mechanical properties and anode reaction. The fine grain makes the deep drilling performance better, the tool wear resistance is enhanced, the thread rolling is different from the weight, and the preferred metal material with lower density requirements and higher hardness requirements. 7075 aluminum plate is usually used to manufacture aircraft structures and other high-stress structural parts that require high strength and high corrosion resistance, such as aircraft upper and lower wing panels, purlins and partitions on aircraft. The aluminium sheets for aircraft 7075 has good solution after solution treatment, good heat treatment strengthening effect, high strength below 150 °C, good low temperature strength, poor welding performance, stress corrosion cracking tendency, double-stage aging can improve anti-SCC performance.